Alumni Spotlight – Meet Dr. Elisse Wright Barnes | Welcome to Coach's Corner! It’s time to spotlight another of our distinguished alumni! 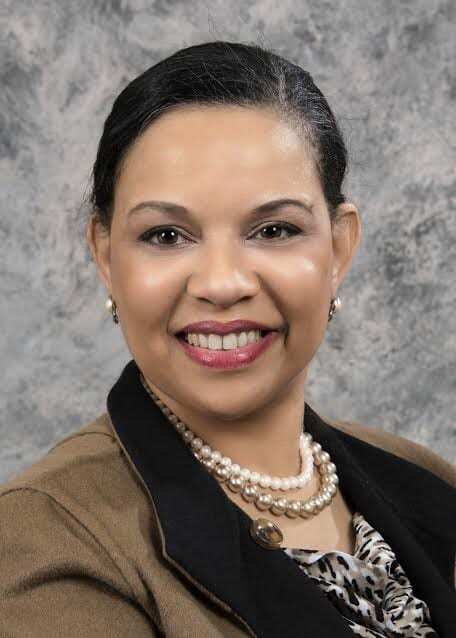 Today, we feature Dr. Elisse Wright Barnes, entrepreneur and workforce development instructor. Read below to learn more about her journey, how she came to choose Ohio State, and how that has impacted her career trajectory. What brought you to The Ohio State University? I am a Columbus native, so when I discovered that, after several years as an assistant dean and despite having a law degree, my opportunities for promotion were limited; I decided to get the “union card”: a doctoral degree. Due to the low cost of living in Columbus, I decided it was the perfect place to accomplish this goal while living on a student stipend. It was a wonderful experience because when I left Columbus to go start my post-high school education, I was a child. When I returned, I had the opportunity to develop a close relationship with my parents as an adult. How did your experience at Ohio State shape your career path? By the time I returned, my mother was a member of the city council. I had the opportunity to work on her campaigns and to get to know the amazing women that surrounded her in Corporate Sisters, a support group she co-founded for African American female executives. I have remained politically active and have remained friends with many of the Corporate Sisters who have provided great professional assistance to me since I left Columbus. I have always admired the American Council on Education’s ACE-NIP program and I used my graduate assistant positions to create my own version of it by rotating through different departments on campus to learn more about university administration. When I decided to return to the DC area, former OSU professor John Roberts, who was serving as Deputy Chair of the National Endowment for the Humanities at the end of the Clinton administration, helped me obtain a temporary appointment there. What advice/insight do you have for Ohio State alumni and students interested in your career field?There are so many jobs people never think of. Focus on the hidden job market. Hidden jobs are often the best jobs. Informational interviews are an awesome way to network, obtain valuable advice, and explore a variety of career options. Cast a broad net. Meet as many people doing different things as you possibly can. You never know who can help you because you don’t know who their friends, family, in-laws, and college roommates are. Being an assistant dean for student affairs at a graduate school wasn’t on my radar screen until I became one. But it was, by far, my favorite job because I really enjoy working with adult learners. Because of that experience, I’ve been able to develop a business that I love as a workforce educator and trainer for baby boomer job seekers, career transitioners, and entrepreneurs. Forget about job titles. Look for the professional life you want. Who do you want to work with? What cause excites you? How do you want to spend your day? Knowing the answers to those questions are the keys to career success. Posted by Alumni Career Management at 2:40pm Posted in Uncategorized. Bookmark the permalink.